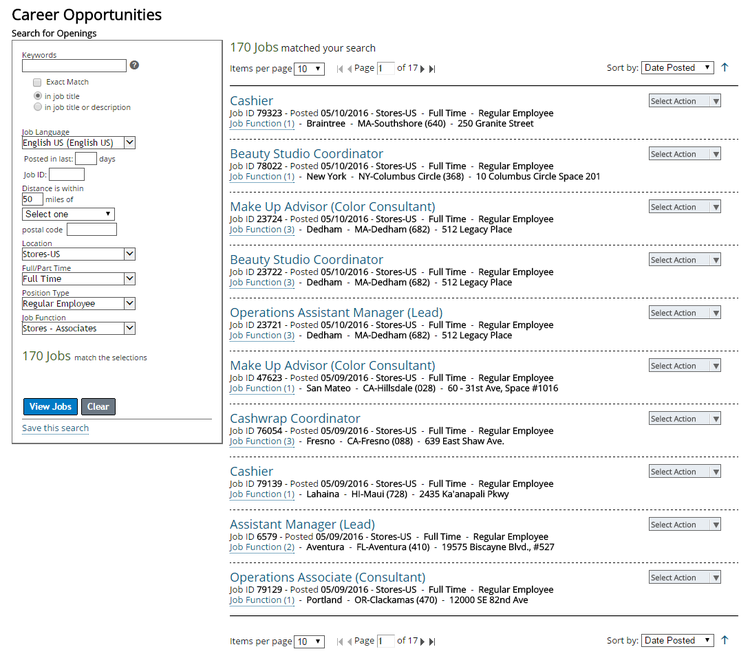 Go to sephora.com/careers, and select a working place. There are three choices for you -- retail store, corporate center and LVMH group. Once you have made your decision, click “search now” button under the department brief description to enter the next page. 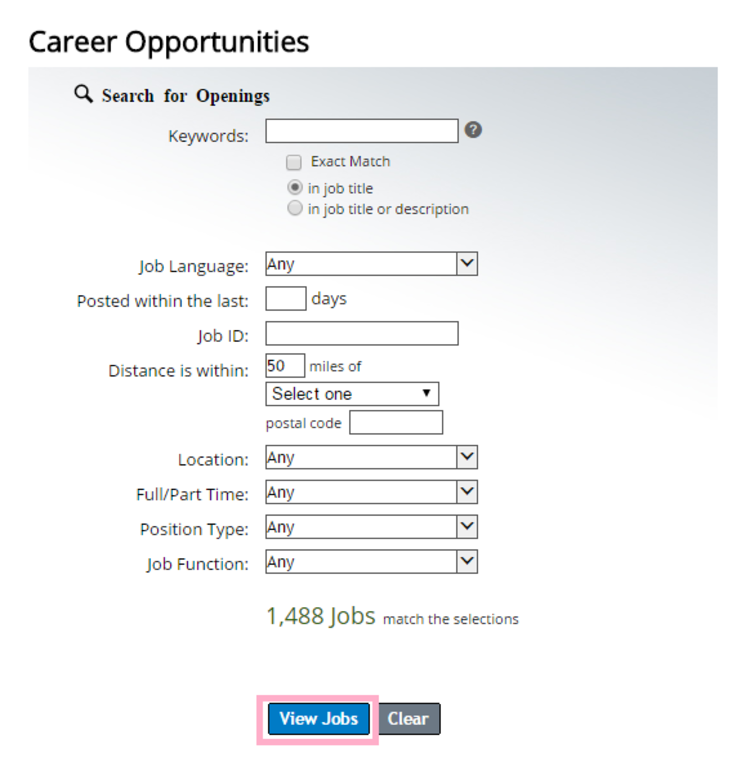 Enter the related job information to search matched job opportunities, and then click “View Jobs” to see related job details. After setting the search criteria, all jobs matched your search information are listed. You can generally go through these job titles, and select the one you like most to apply for it. Once you have selected the job you like, the detailed job description will present on the next page, such as requirements of the job, work content and so on. You should read the job description carefully before applying, in case you waste time on unsatisfactory or improper position. After you have read the description and find this job is satisfactory, you can click the “apply” button up or under the description box to move on. If you are a new user to apply jobs, you should create a personal account first. If you are a returning applicant, you can simply enter your email address and password to log in. And this article will take "Create an account" as the example. There is a form for you to fill in. All fields with asterisk are required to enter, such as your basic information, work history, education background, etc. This will help the recruiter better know your qualifications. After you have finished, click “next” to continue. Just follow the instructions it gives to finish the online application step by step. Upon completion, please submit your application and then you need to wait for the contact from the recruitment team. 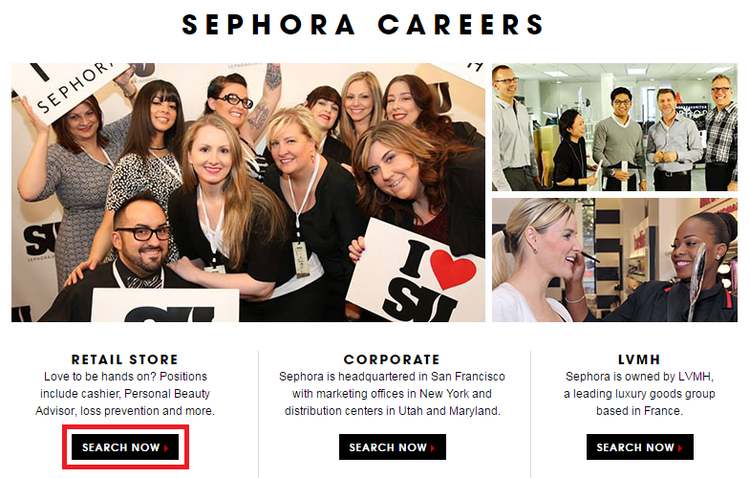 Click sephora.com/careers to apply for Sephora jobs online.